The Elder Scrolls Online released its Murkmire DLC earlier in the week, and we jumped in for some fun. There’s some really good things about the new DLC, and there’s some bad too. Here’s our rapid review. If you’ve played the prologue quests last week, you probably know what to expect this update. Cyrodillic Collections, an Argonian antique collection outfit led by Imperial sisters Famia and Concordia have come to the Blackmarsh to seek an ancient Argonian relic of legend. Famia is your main contact in Murkmire, and the story starts with you being the perfect fit to help her cause. 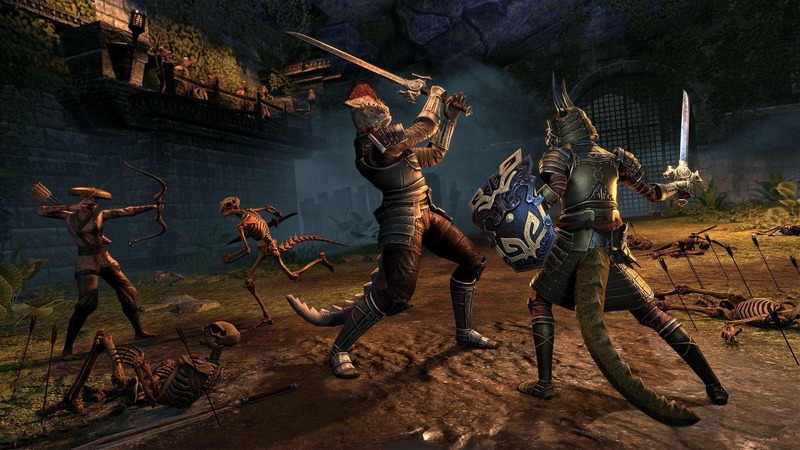 What made the stories enjoyable is the fact that I’m learning so much about Argonians – a race of lizard like humanoids in ESO lore – that I wasn’t previously interested in. Their cultures, way of life and their struggles are all depicted via various side quests littered throughout, including within the main story. It’s that main story that really engaged me this update. It was lengthy and offered up to 6 Skill Points for the total chapter completion which is nice. The voice acting is also praise-worthy, as Argonians are incredibly poignant and self-rhetorical in their speech manerisms which makes for some hilarious dialogue moments. The more I played through the story, the more I wanted to help the two swamp people that I grew fond off. An ancient relic, the Remnant Of Argon is being hunted by the Blackguards, and you and your new companions race to get it first. There’s plenty of adventure, and surprising emotional decisions to make too. When main story quests leave you debating if you did the write thing, it’s the sign of great writing. The new zone Murkmire is a well designed marsh swamp land, and it’s a first for ESO. Following traditional DLC zones of the past, most new locations you visit, like the villages for each of the Argonian tribes, will have a quest giver or some story starter nearby. These are usually short length side quests that offers the player some insight and backstory about the Argonians and that’s been quite fun to playthrough. There’s also two new delves and what sets them a part are the designs and architecture – distinctly different because ESO does make each race’s zone stand out. Where the DLC falls short is with its group content. The ‘dungeon’ this update isn’t even a dungeon, it’s an Arena where players team up in fours to take on wave after wave of randomized enemies with boss fights in between. While it offers some diversity this time around with things to click for buffs and debuffs, it’s the same formula we’ve seen in the past, like Maelstrom Arena. To be frank, it’s lazy design, and throwing some story in there doesn’t make it better. It will offer dungeon-style loot though, so run them if you want to. 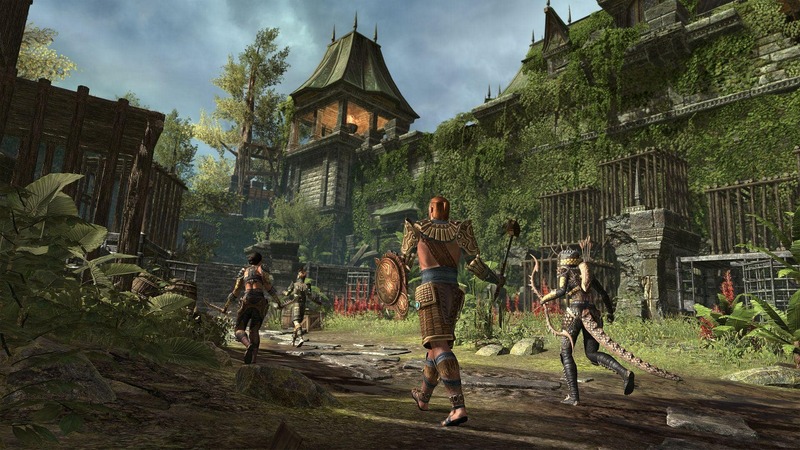 Murkmire also gives players more character growth beginning with the increase of the Champion Point ceiling cap. Players can now grow well over into 800 and spend those extra points for more beneficial stats to enhance their builds. To help with this, Murkmire introduces 12 new gear sets, combining various different builds for players to choose from. The DLC is being called “Nerfmire” however, due to some classes getting the potency of their abilities reduced, but overall these are solid new additions to the game. One of the ways the DLC differs from others is by utilizing the Argonian race to cook up an exotic experience for players, in similar way to how each of the past DLCs do. Murkmire sounds and look different and that’s not a bad thing. For starters, the ambient music is more tribal which befits the native Argonian tribes, and it’s a pleasant change of tone from the previous content zone of Summerset. Another cool thing to look out for are the killer flora – Murkmire is full of dangerous plants that do nasty things when you get close. It’s a fun feature that adds more character to the zone but won’t kill you if you’re geared. With Update 20, Cyrodiil is getting even more deadly with the introduction of destructible bridges and Milegates. 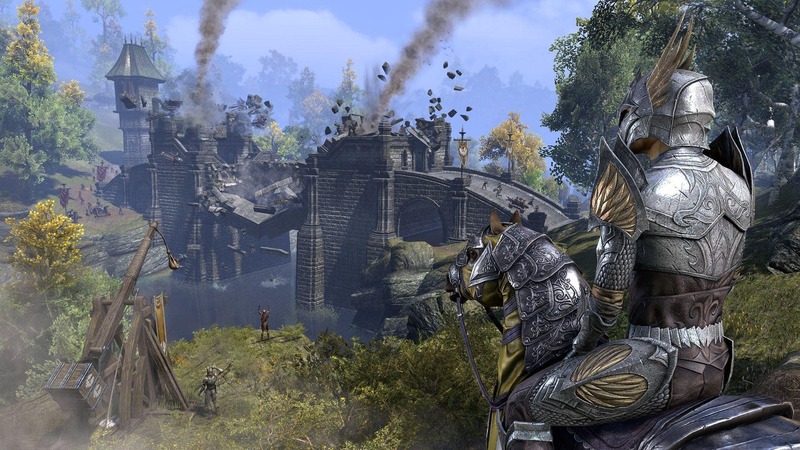 Now, you’re able to bring down any of the bridges and Milegates in Cyrodiil using ballistae, catapults, and trebuchets. Don’t worry, you can repair them if you wish, but we’ve also introduced a series of new goat paths around these chokepoints, giving you another way to enter enemy territory. This update also changes the shape of Cyrodiil by introducing a series of new Outposts AND offers brand new rewards, too.